What makes a website successful? It might not be what you expect! What makes some sites succeed and others fail? Put another way, when you are asked to redesign an existing website, what problems are you looking out for and where do you concentrate your efforts? I would argue that as web designers we spend too much time looking at the wrong kind of problem. I recently ran a free open door consultancy clinic to celebrate the launch of my new book (yes I know, two shameless plugs in one sentence). This involved various website owners volunteering their sites for review. Both myself and the audience then provided feedback. What quickly became apparent is that the feedback being given by the audience was biased towards design and development. Although their comments were excellent it focused almost exclusively on the quality of code, site aesthetics and usability. To address these issues in isolation is similar to treating symptoms and ignoring the underlying illness. Poor design, bad usability and terribly written code are symptoms of bigger problems. Often when we endeavour to address these symptoms, we meet resistance from our clients and become frustrated. This is because our clients are still struggling with fundamental concepts we take for granted. Before we can address issues of aesthetics, usability and code, we need to tackle business objectives, calls to action and user tasks. Without dealing with these fundamental principles our clients’ website will fail. Do you ask your clients why they have a website? It feels like an obvious question. However, it is surprising how many clients do not have an answer. Without having a clear idea of the siteʼs business objectives, the client has no way to know whether it is succeeding. This means they have no justification for further investment and that leads to quibbling over every penny. However most importantly, without clearly defined business aims they have no standard against which to base their decisions. Everything becomes subjective and that will inevitably lead to problems. Before we start discussing design, usability and development, we need to focus our clients on establishing concrete business objectives. This will provide a framework for decision making during the development phase. This will not only help the client make decisions, it will also focus them on the business and away from micro managing the design. Once business objectives have been set this opens up the possibility to establish clear calls to action. I am amazed at how few website owners can name their calls to action. However, I am even more staggered at how few web designers ask about them. Calls to action are not just limited to ecommerce sites. Whether you are asking people to sign up for a newsletter or complete a contact us form, every site should have a desired objective for users. What is more, each page of a site should have micro calls to action that always draw users on and never leave them at a dead end. Without clearly defined calls to action you cannot successfully design a site, structure the user experience or measure its success. They bring focus to the site and encourage the client to concentrate their efforts on helping people reach those goals. Of course in order to know if a call to action is going to work, it is necessary to do some user testing. As web designers we all like to boast about being ʻuser centricʼ whatever that means! However, in reality I think many of us are paying lip service to the subject. Sure, we ask our clients about who their users are and maybe even do some usability testing. However, usability testing is no good if we are not asking the right questions. Again we find ourselves working on a superficial level rather than tackling the deeper issues. Clients find it relatively easy to tell you who their target audience is. Admittedly the list they come back with is often overly long and contains a lot of edge cases. However, where they begin to struggle is articulating what these users will want to achieve on the website. They know who they want to reach. However, they cannot always tell you why those people would be interested in the site. These user tasks are another fundamental building block for any successful website. Although it is important for a website owner to understand what their objectives are and what they want users to do, it is even more important that they understand the users objectives as well. Again, this provides context for the decisions they are making about design, usability and functionality. Without it the site will become self serving, largely ignoring the needs of users. User tasks help to focus the clientʼs mind on the needs of their user, rather than what they can get out of them. So am I claiming that design, usability and code do not matter? Well the shocking truth is that to some extent I am! Whether we like it or not there is significant evidence that you can create a successful website with bad design, terrible code and without ever running a usability test session. You only need to look at the design of Craigslist or the code of Amazon to see that this is true. However, I do not believe it is possible to build a successful website without business objectives, calls to action and a clear idea of user tasks. Do not misunderstand me. I do believe design, usability and code matters. I just believe that they only matter if the fundamentals are already in place. These things improve a solid foundation but are no use in their own right. As web designers it is our responsibility to ensure fundamental questions are being asked, before we start exploring other issues. If we do not, our websites will look great, be well coded and have gone through endless usability tests, however it will not be truly successful. 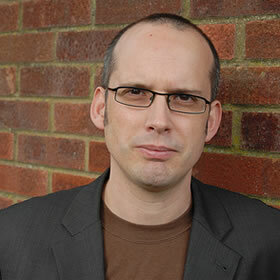 Paul Boag is a user experience consultant based in Dorset, England. He’s the founder of Headscape, a successful web design agency and hosts the longest running web design podcast at boagworld.com. He also writes for web design publications and speaks at various conferences and workshops. The easiest way to publish fast, flexible HTML5 websites your clients will love. Drew McLellan wraps up our 2017 series with a gentle reminder that in a rapidly moving industry, the best technology for the job isn’t always the newest. And while Christmas tradition tells us we should follow the bright star, sometimes the answer lies closer to home. Merry Christmas and a happy New Year! Elizabeth Galle extends goodwill to all customers this Christmas (and beyond) with some insights into establishing and maintaining good relationships through effective customer support. Andy Clarke encourages us to have confidence in the way we communicate with potential clients. Being open and genuine, and providing an insight into what working with you will be like can help prospective clients choose you over your competitors. So before you refresh your glass, refresh your website’s copy! Mazz Mosley hands out the sheet music, gives a quick blast on a pitch pipe, and counts us in with a rousing chorus to remind us that leaders are made, not born. Just like a good box of chocolates, styles of leadership come in all shapes and flavours, each with its own function and purpose. Just avoid the coconut ones. Suzanna Haworth turns off the daytime TV and puts on her favourite Christmas slippers to discuss the subject of distributed teams. Is working away from the office the key to health and productivity, or a way to avoid small talk at the Christmas party? Well, at least you’ll be home when the postman delivers your shopping. Lara Hogan stands up and goes it alone to expound on the benefits of presenting on stage with a buddy. Preparing and delivering a presentation to a room full of people can be a daunting task, and sometimes two heads are better that one. Not even Rudolph could pull that sleigh alone.